HF3470 Vs HF3520 - What's the Difference? Which is Better the HF3470 or HF3520? 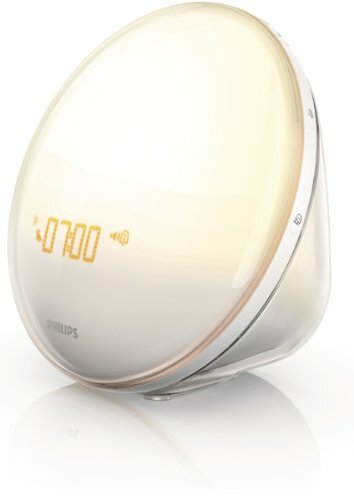 Are you interested in buying a Phillips Wake-up light, specifically the HF3470 or HF3520, however are unsure as to which one is the best to get (in terms of value, performance etc.) and what are the general & specific differences between them? If so, you have come to the right place -- an objective comparison guide of the two models. We take a look at both the differences as well as the similarities amongst specifications, aspects and design etc. to ultimately provide you with a clear overall view as to which model best suits your needs & preferences. As you probably already know both models simulate a 'sun-rise' (starting with mellow 'dawn' reds to oranges and then finally to full-on yellows) this in turn has been clinically proven (& backed by the 'National Sleep Foundation & thousands of owners/users) to show a general significant improvement in increased energy levels as well as feeling generally more refreshed & alert (than without the sun-light alarm lamps or use of jarring digital alarm clocks). It works through gradually building light intensity before the 'alarm' noise (30 minutes beforehand with the HF3470 & with the HF3520 you can set for between 20 and 40 minutes) which you can choose to be either 'nature sounds' or the FM radio. Moreover, with the HF3520, it also helps users fall asleep more easily as well as improving sleep quality yet further due to its 'Bedside Lamp Dimming Effect' to essentially replicate the 'sun-setting' effect as well. To start with the features that remain the same; they both offer the FM radio compatibility (which you can use just casually or as your wake up alarm) as well as a set of twenty different 'brightness' dimmer settings ( the amount of brightness levels that are involved in the interchange). As the HF3520 is essentially an upgrade to that of the HF3470 -- the differences between the two (as seen somewhat already) are basically just improvements made on the HF3470 with the HF3520 - for instance, (as mentioned already) you are offered an adjustable sun rise simulation with the HF3520 from 20 to 40 minutes, whereas the HF3470 is set just at 30 minutes. Allowing you to test which variation is most optimal for you & what setting you feel like you get the best results from. Also, as stated, you get the dusk simulation with the HF3520 (helping you get to sleep better, and pretty much replacing the need for lamp) which the HF3470 doesn't offer as well as being able to select from a greater range of 'natural' wake up sounds -- five compared to just two with the HF3470 (noise include birds signing, jungle sounds, wind chimes etc.). The 'upgrade' also has the 'Easy-to-Use' Snooze 'touch sensitive' feature which basically allows yourself an extra 9 minute sleep after your alarm goes off through just touching literally anywhere on the light. There is an obvious change in design too, where the HF3520 is more practical with fully fitted 'non-slip' rubber fittings as well just generally looking more modern, sleek and appealing (although neither model is exactly ugly to look at). For the HF3520, the controls are all through a simple easy to navigate touch interface placed at the base and additional buttons around its rim, compared with the HF3470 which has only physical buttons at the base -- which you have to use to alter settings. Also, there are a few little clever extra features with the 'upgrade' such as the auto-dimming clock face when you turn out the lights as well as an additional alarm time -- so you can easily share the HF3520 with your partner. The featured LED lamp will last you a reported 20 years (more than 4,000 hours) on both models. Upon purchase you are backed on a 24 months (industry leading) warranty which include parts and labour costs. Both models are of course safe to use and UV free. Both models are very highly regarded with the latter (HF3520) essentially being an upgrade to that of the former (HF3470). For me, because I find getting to sleep quite difficult (as well as getting up actually) an extra $60 or so is well worth it, along with all the additional and upgraded features provided with the HF3520, makes it the clear option. Both, however are fantastic models and although they are quite a bit more expensive than your standard alarm - to feel more energized and alert as soon as you wake up and during the day (I regard these as pretty much priceless qualities) - makes them a pretty good deal really, certainly in the long run. Let me know which model you choose and why? 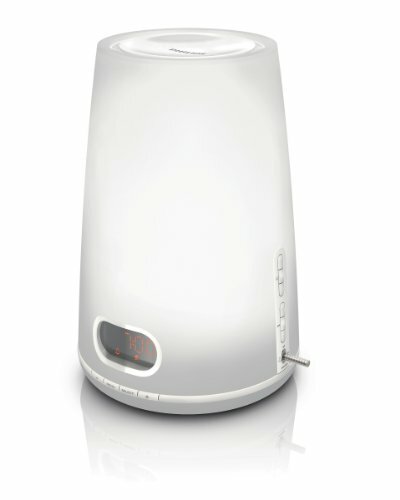 Also, if you have any comments, questions or concerns regarding either the comparison of - the HF3470 Vs HF3520 or about either wake-up light model individually then please do not hesitate to make them in the comments section just below and we will be sure to get back to you as soon as possible.